Microsoft Excel is a marvelous tool to work with, especially for spreadsheet processing. From making financial analysis filled with tons of data, to a simple excel chart containing your expenses and income, Excel does it all. 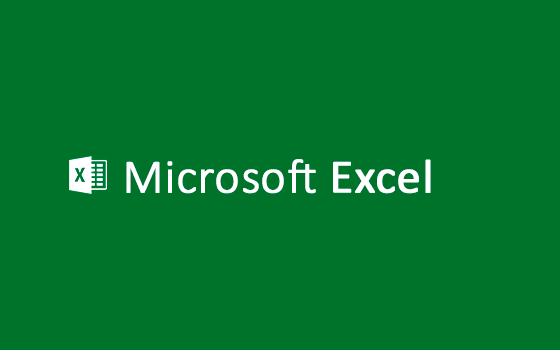 And it is precisely because of that versatility that this application has hundreds (if not thousands) of options to work with, which is the reason why with every software update, the official Excel webpage posts a list of useful shortcuts i.e. a specific combination of keys that have to pressed at the same time, whose purpose is to help users work faster. Up until now that official list of shortcuts reaches the 200; but frankly, most of them are for very particular tasks that are best suited for Excel experts. In the list below, we assembled the 35 Most Useful Shortcuts For Everyday Life That Will Save You A Lot Of Time. Ctrl + C: To copy any text, cell, column, row, or area selected. Ctrl + X: To cut any text, cell, column, row, or area selected. Ctrl + V: To paste any text, cell, column, row, or area previously copied. Ctrl + PgDn: This combination switches worksheet tabs to the right. Ctrl + PgUp: This combination switches worksheet tabs to the left. Ctrl + Tab: When you’re working with several workbooks, use this shortcut to switch from workbook to workbook. Ctrl + Alt + V: If you want to paste something into your worksheet with a different format than the one that is predetermined, this shortcut will open the “Paste Special” dialog. Ctrl + Home: This shortcut is especially useful when there’s a long worksheet full of data where you have to go over the cells many times, hence, this combination moves screen to first cell in your worksheet. Ctrl + F: Very useful shortcut to find a specific word or symbol. (Extra shortcut: Press Shift + F4 to find the next match). Ctrl + H: Sometimes, you want replace one specific word that is repeated many times for another, use this combo to open the dialog “Find and Replace”, but with the Replace option selected. Ctrl + space: Instead of using the mouse to select an entire column, if you use that command, it will automatically select the whole column you’re working on. Shift + space: Instead of using the mouse to select an entire row, if you use that command, it will automatically select the whole row you’re working on. Ctrl + click: When working with Excel, it is often necessary to select several cells that aren’t adjacent to one another. To do that, use this command by first selecting the first cell, and then press the Ctrl button, and keep it pressed while you click on the other cells. Alt + Enter: A pretty simple, yet highly unknown shortcut. You can use it to enter a new line in the same cell. Ctrl + ,: Inserts current date in a cell. Ctrl + Shift + . : Inserts current time in a cell. Ctrl + ,.+ space + Ctrl + shift + . : Inserts current date AND time in a cell. Ctrl + D: A very handy command that copies data from the cell above. Ctrl R: A very handy command that copies data from the cell to the left. Ctrl + 1: This combination open the “Format” dialog of cells (to access number formats, fonts, borders, alignment settings, etc. ), charts, graphs, etc. Ctrl + B: To convert regular, selected text into bold text. Ctrl + U: To convert regular, selected text into underlined text. Alt + =: To quickly sum on columns or rows, simple select the cell below (if it’s a column) or to the right (if it’s a row) of the cells you want to sum, then press the command and Excel will automatically guess the range you’re trying to sum. To make it more precise, select yourself the row or column, including the cell you want the sum to appear, and press the shortcut. Ctrl + ‘: To show or hide formulas. Ctrl + shift + +: Adds a row/column to the right or a selected row/column. Ctrl + -: Deletes selected row/column. Ctrl + shift + 7: Draws a border around a cell, or selected cells. Ctrll + shift + -: Removes border from a cell, or selected cells. Ctrl + shift + ~: General format. Ctrl + shift + ! : Number format. Ctrl + shift + #: Date format. Ctrl + shift + $: Currency format. Ctrl + shift + %: Percentage format. Ctrl + shift + ^: Scientific format.